MUNNAR - A JAW DROPPING BEAUTY! Munnar or Moonar,which is often misspelled is the nature’s paradise, standing 1600m above the sea level is nestled at the confluence of the three mountain rivulets namely the Mudrapuzha, Nallathanni and Kundala. This tea county Munnar was once a favourite summer resort of the erstwhile British Raj in south India.This spectacular beauty is a collage of mountains,waterfalls,lush tea garden, aromatic spice plantations, exotic flora and fauna and adventurous wildlife sanctuaries. So,when you reach Munnar, you will love to get indulged in the picturesque view of Munnar as it will allure you to extend your stay there and experience some of the activities you should not miss. Munnar map portrays the whole geographical footprint of Munnar which is a paradigm of trails of mountains.It is famous as one of the favourite hill stations of South India. All the major kingpins of hills dwells in Munnar and forms a misty chains of mountains with the lush green tea plantations.The hills in Munnar plays hide and seek with Neelakurinji, the experience of once in a lifetime. Neelakurinji, the blue flower swathes the intercepting hills of Munnar with its blooming beauty and hues once in every twelve years.You can enjoy the beauty of Neelakurinji and can make your experience as the most precious remembrance of your lifetime. 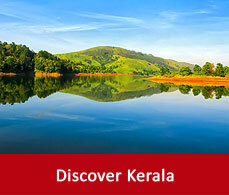 Munnar,Kerala the paradise in God’s Own Country is more magnificent with its waterfalls. While your stay there engross yourself in the rhythmic scores of the white cascades of water originating from the serene streams. 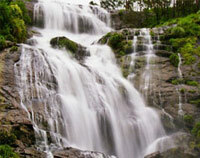 Some of the well famed waterfalls are Lakkam, Attukal, Nyayamakad, Chinnakanal, Kuthumkal, Cheeyappara, Valara and Thoovanam. Camellia Sansis, or the tea plant drapes the valley of Munnar. 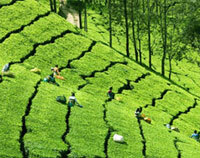 Tour of this interwinding tea plantations is one of the major attractions of the Munnar tourism package. Take a tour in the fresh greens of the tea and refresh your mind and soul with its aroma. 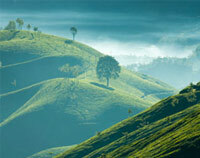 Get your best clicks with this magnificent tea county landscape and keep Munnar photos as a memento of your life. 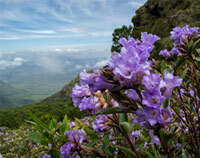 Munnar once known as the spice capital of the world is a palate of variety of spices. 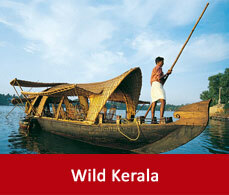 Records briefs that Kerala is economically strong for its trade and mainly for its spices. Pepper is the king of all spices in Munnar, but other than pepper, cloves, nutmeg, cinnamon, vanilla, ginger, turmeric, etc. are also cultivated in the villages of Munnar.The renowned Munnar catering college also utilises these famous spices to train their students. 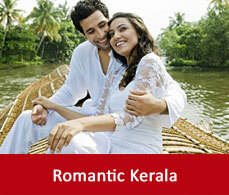 A tour in these spice plantations aromatizes your soul and contents your heart with enthrallment. Munnar is also famous for its collection of variable flora and fauna.. Munnar boasts itself for its flora and fauna as eighty percent of the rare and unique flowering plants of the Western ghats are found here. The amphibians which thrives in this region are one of the endemic species of the Western Ghats.Your trip in Munnar will give you a sound knowledge of flora and fauna. 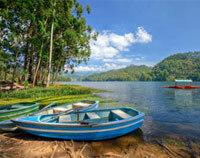 Munnar will also give you an ultimate experience of wildlife navigating. 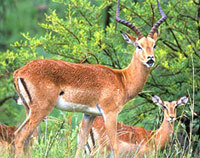 The famous Chinnar wildlife sanctuary will give you an adventurous tour of the wildlife. 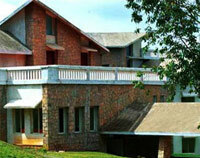 Some of the hotels and resorts also conduct this tour. Take a tour in the sanctuary on the top of an elephant and get an ultimate experience.